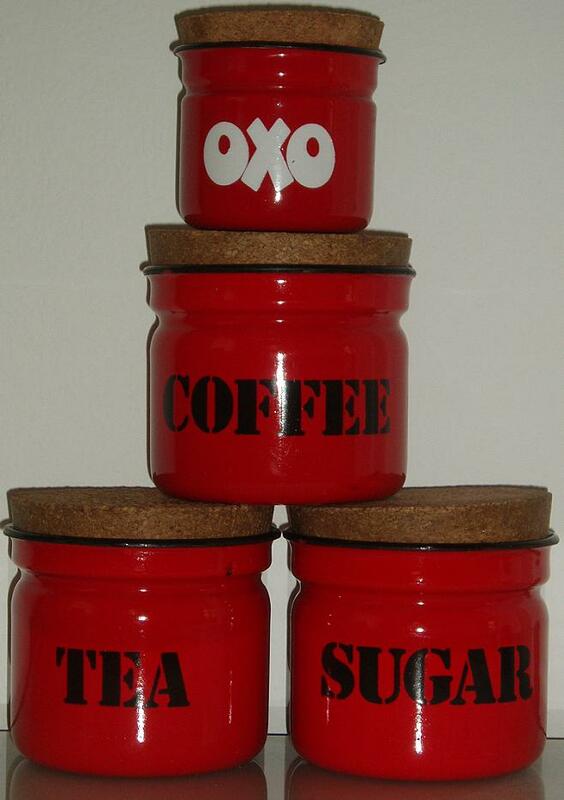 They don't match my kitchen, but I couldn't leave these lovely 70s canisters in the shop at 50p each. I'll be reselling them, and hopefully someone will have some shelf-space for their glossy cheerfulness. I bought these half-size 1933 playing cards for their lovely bird illustrations, I doubt I'll ever use them, and they'll probably end up being re-sold, but for 50p I think I just wanted to have them for a while. Although I'm not a Pyrex collector, I was really pleased to find this Autumn 1971 brochure in with a vintage magazine I bought. I'm still a little bit mystified by the bloke on the front cover, he just doesn't seem right somehow, I would have expected a happy housewife. Having said that, he does make a refreshing change from the Stepford-type women that ad agencies seem to think spend their days getting over-excited about kitchen appliances and cleaning products. 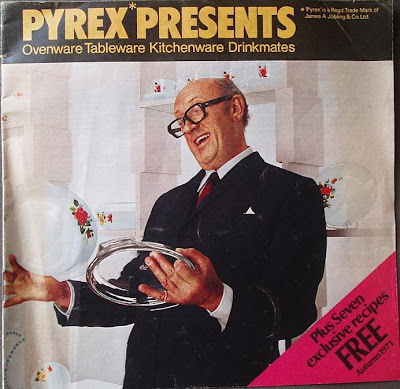 Back cover of the Pyrex brochure, advertising a guarantee against thermal breakage until 31st December 2001 AD. Surely by then we would all be living in space-age homes with robots to bring us our food-pills? Well, if you'd asked me in 1971 that's probably what I would have predicted. Actually, in 1971 I would have been more likely to have been knitting outfits for my Sindy dolls than worrying about the state of Pyrex in 2001 (AD). Remember those sweet, chubby-faced, innocent dolls? 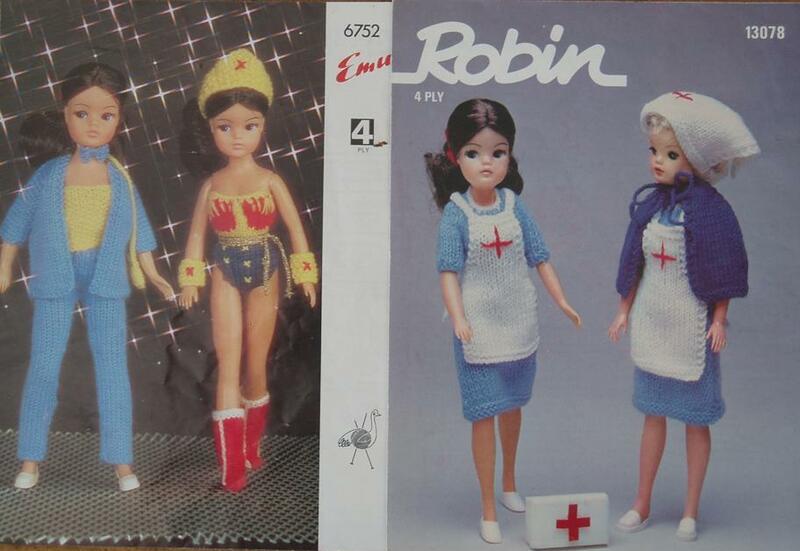 Can you imagine a modern fashion doll wearing a knitted Wonder Woman suit or nurse outfit? Me neither. It would be soooo wrong. I LOVE this cover, love the slightly spaced-out blue woman, the captions, everything. Now I can catch up with all the stuff I missed while making Sindy clothes. All the above bits of papery stuff came in a bag for £1. 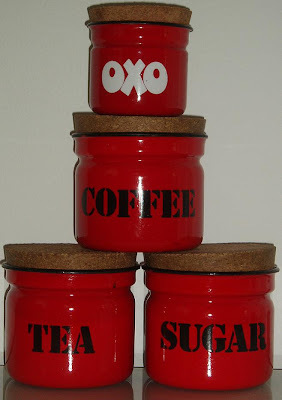 Hope everyone had a good week - linking up to Flea Market Finds. I think she's on something don't you? It's a good job the lights are dimmed. Glad to see you got some good bargains. WoW!!! 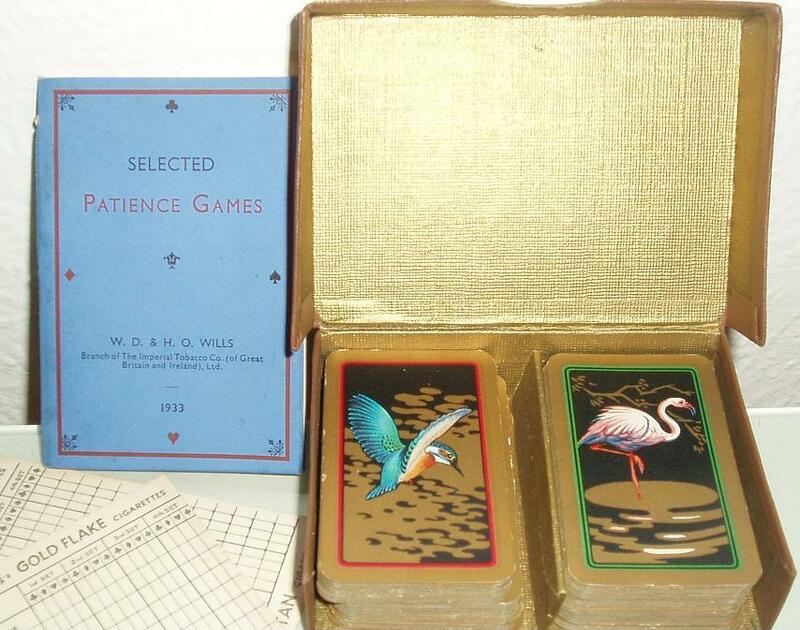 Brilliant finds! Sindy dolls = major nostalgia trip! Love the pyrex guy. Would be a fun catalogue to look through! I had a Sindy doll!! 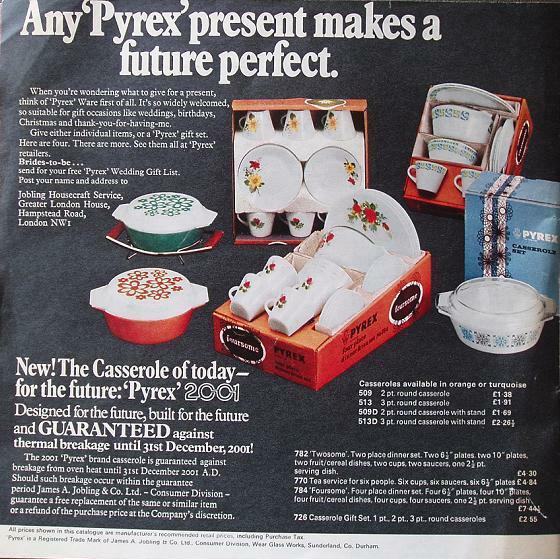 I agree about the Pyrex catalogue - why a man? In 1971? Strange. Nice finds. 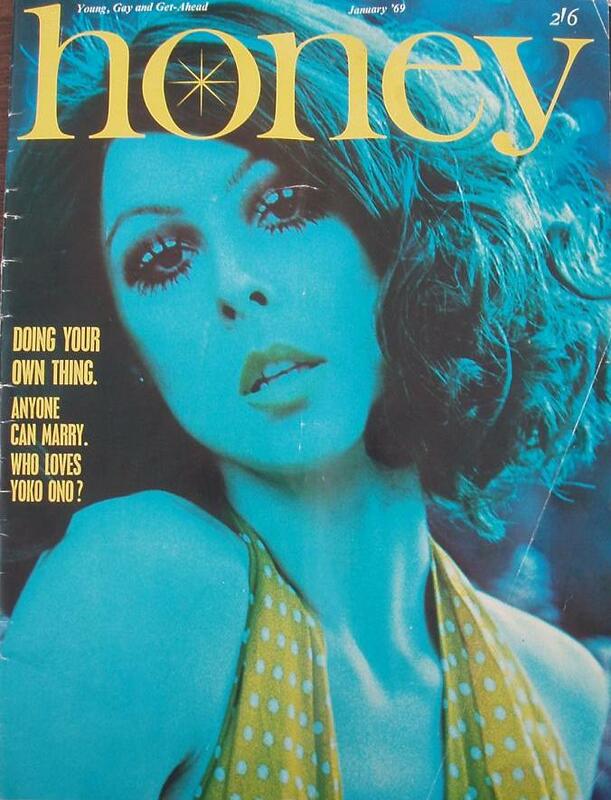 I remember Honey magazine - thought I was quite sophisticated reading it! Great finds! Honey was very, very sophisticated! If I remember correctly, it came in between Jackie and Cosmo in my teenage years, and probably did the least damage of all 3 to my impressionable young mind.